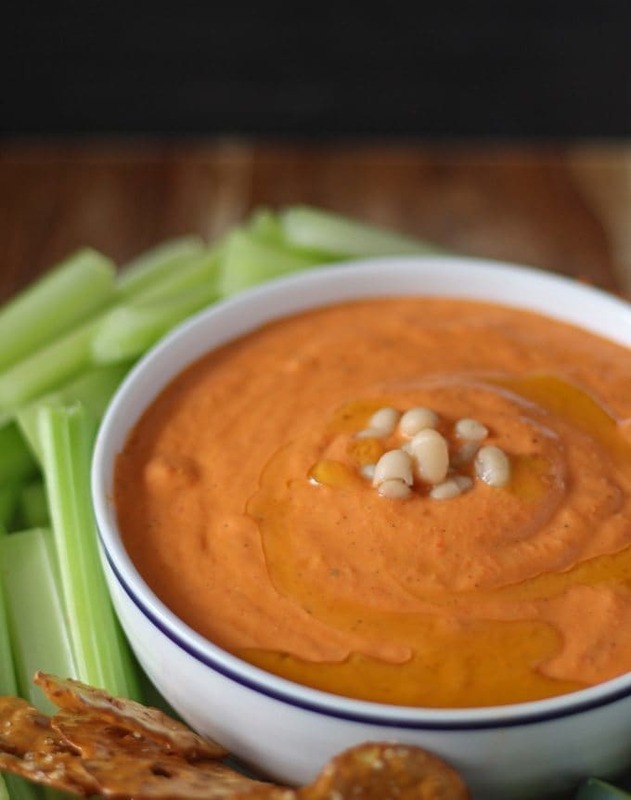 Roasted red pepper white bean hummus is a great alternative to traditional hummus. 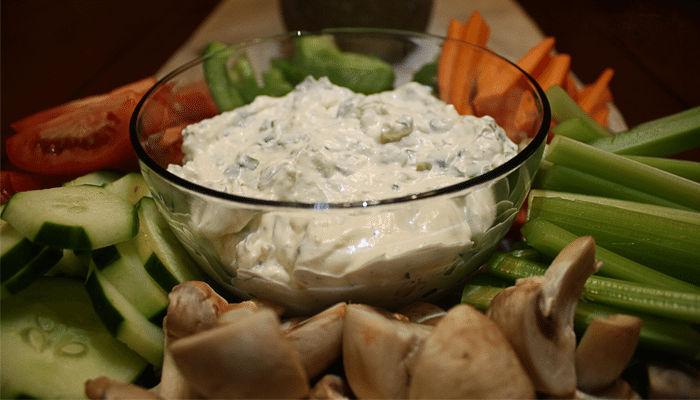 Serve it with chips or vegetables – perfect party food! 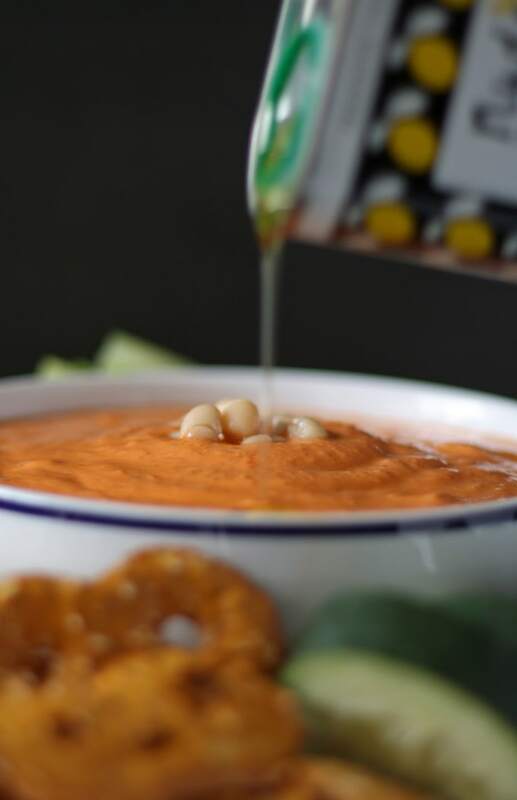 I hinted at this roasted red pepper and white bean hummus recipe on my olive oil review/giveaway post and it’s not the week to disappoint people. But it is the week for events. Food bloggers who live in large cities receive A LOT of event invitations. Actually, I want to broaden that – bloggers who live anywhere receive more event invitations than there is time for. This month I decided to accept invitations for 3 blogger events – 2 have already happened and 1 is a few days before Christmas. Last week, I participated in #FoodieChats with the creator, Steve, and a group of food-loving tweeters. It was a really fun event, sponsored by World Kitchen – the makers of Corelle, CorningWare, Pyrex, Chicago Cutlery and more. I felt like a kid in a candy store with all the kitchen gadgets surrounding me and fellow Twitter users all on our phones. Anyone watching us most have thought we 1) were either crazy or 2) didn’t like each other. Not the case at all. Two nights ago, one of the blogger groups I am a member of (Windy City Bloggers Collective) threw a holiday party. Yummy food, delicious cocktails (check out my Instagram account for a photo or two) and awesome Chicago bloggers made for a fantastic event. Throw in a fancy venue (Del Frisco’s) and holiday shopping – I had a great time. Holiday party season has officially started! And segueing into that… If you’re hosting any holiday parties this year, then you have probably started thinking about your holiday menu. 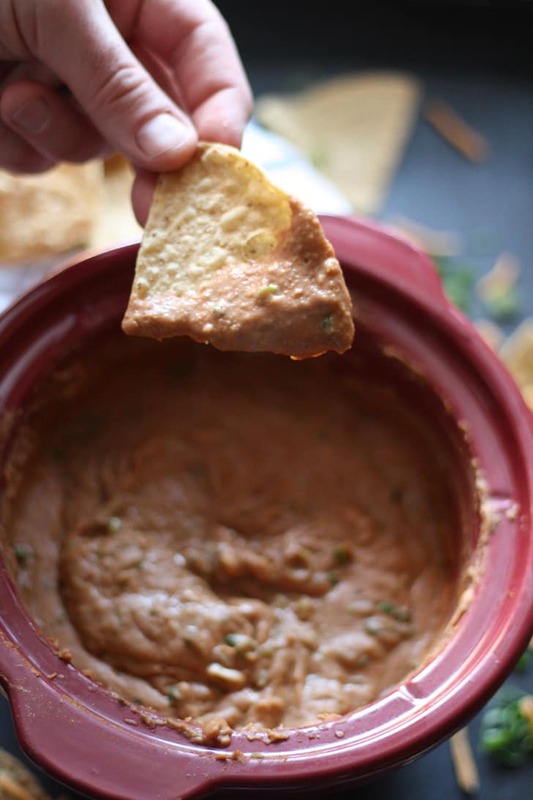 Dips are a party staple and hummus is one the most popular. Change it up this season and forget about plain hummus. 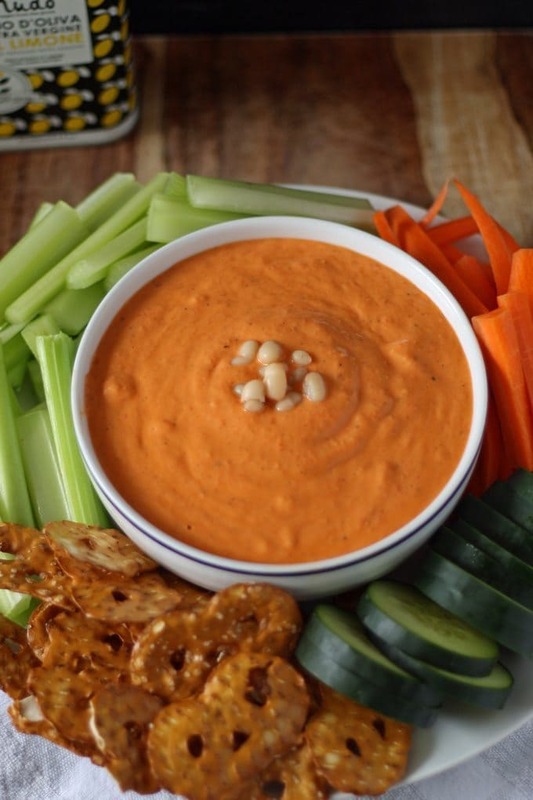 Try this roasted red pepper hummus instead. Served with fresh, crisp veggies and crackers – or go traditional with some warmed pita – it’s perfect for parties. Just before serving, drizzle a little extra olive oil on top, and you are all set to party! 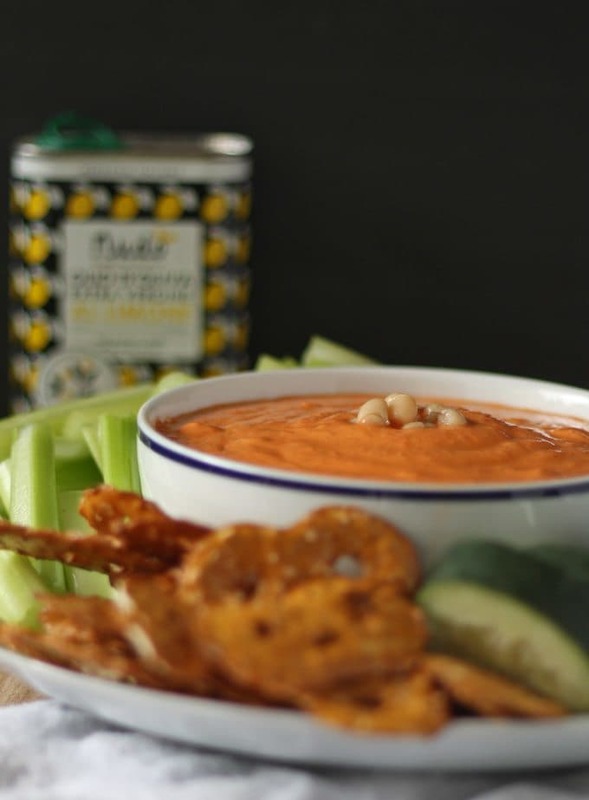 Roasted red pepper white bean hummus is a great alternative to traditional hummus. Serve it with chips or vegetables - perfect party food! Combine all ingredients in a food processor or blender and process until smooth. Serve with additional olive oil drizzled on top. If you don't have lemon flavored olive oil, substitute by adding 1/2 - 1 teaspoon lemon juice to regular olive oil. This would be a big hit at home! 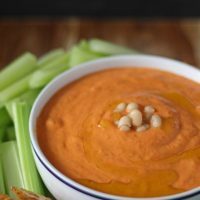 My husband loves roasted red pepper hummus, but I’ve only ever made garlic! I’m interested in trying it with white beans, too. Visiting from the Pin Junkie! Thanks for stopping by Natashalh! I’ve also made it with black beans too – sooooo yummy! I was looking for a new hummus recipe for a party this weekend! Thanks! I found you from the Pin Junkie linky party 🙂 Merry Christmas! Awesome! Linky parties are such a great way to find new food bloggers! And you will LOVE this dip. 🙂 Have a great weekend. This looks amazing! We are huge hummus fans here! Can’t wait to try it!